Respect. I truly believe that respect is the key to creating a caring classroom. I treat my students with respect. It’s that simple for me. Respect is reciprocal. I believe 100% that if you treat your students with respect they will in turn respect you. The first day of school is prime time for beginning respect. Not only do I want my students to respect me, I want them to respect each other. The first couple of days for me consist of teambuilding and classbuilding activities. I don’t have “rules” in my classroom, I have expectations. When we do teambuilding and classbuilding activities, my students know that I expect them to treat each other with respect. They are expected to include EVERYONE. This mindset works for me and for my students. 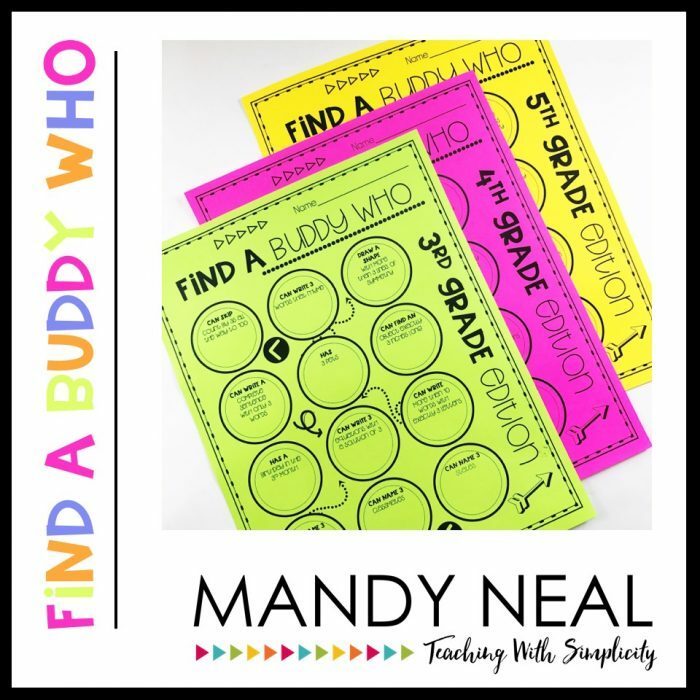 Find a Buddy Who Back to School Bingo is a classbuilding activity that I do on the first day of school. From day one my students are interacting with each other and EVERYONE is included. Laura Candler at Corkboard Connections has a Caring Classroom Link Up. There are some fabulous ideas, tips, and activities waiting for you! Click the Caring Classroom Badge to be taken to her blog.